Pokemon GO Nest Atlas was launched today by the biggest Pokemon GO research community – TheSilphRoad. This is the second time TheSilphRoad is launching the atlas, this time more reliable and more resilient to Pokemon migrations and nest changes. The Global Pokemon GO Nest Atlas is the long awaited addition to TheSilphRoad web tools. It’s the biggest and most ambitious Pokemon GO initiative on the Internet. Mapping the entire world is not an easy task. As they say, “many moons ago” the group launched the first version of the Global Nest Atlas. Within 48 hours of launch, they collected more than 7500 nest locations and “verifications” world wide. 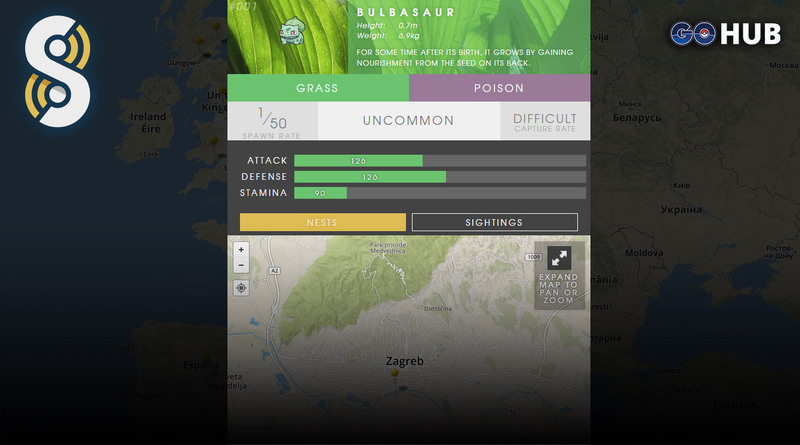 The atlas enables players to map, report and see all Pokemon GO Nests around their area. This feature is a long awaited addition to TheSilphRoad, as Nests are lucrative locations for Pokemon GO players. Is there a way to see all species in my area at once? “Not yet – but it’s coming next! You can view any single species’ nest locations in the Global Pokedex under their entry. You will soon be able to view all species in your area at a (currently non-live) URL: TheSilphRoad.com/nests. How to access the Global Pokemon GO Nest Atlas? Here comes the tricky part – up to this point, you had to have an access code and a reddit account. You would get access codes by following a specific post on TheSilphRoad subbredit. However, access codes are no longer needed after the new Atlas launched. The official announcement and statement is still pending, but we tried authenticating with a random reddit account and it worked. So, in order to access the Global Nest Atlas the only thing you need is a reddit account. You can access the Atlas and authenticate here.